Maintaining a positive web presence for your business is an important part of your search engine marketing strategy. Link building and business listings play an important role in ensuring that local customers can find your products and services online. You may already have noticed that when you search for your business one the web, there are many directories & search engines that are offering information about your business to your customers. This happens because many sites ?scrape? your information from public records, phone book listings, and other websites in order to populate their business directory or search engine. Most of these sites allow you to claim your local business listing so that you can edit it and optimize it, correcting any misinformation and adding descriptions of services and products, photos, and other information your potential customers might be interested in. Every time you claim a business listing, you are creating an online account requiring a username and password. With hundreds of business directories and local listings available online, keeping track of which directory listings you claim and how to access them is crucial to maintaining an organized web presence. 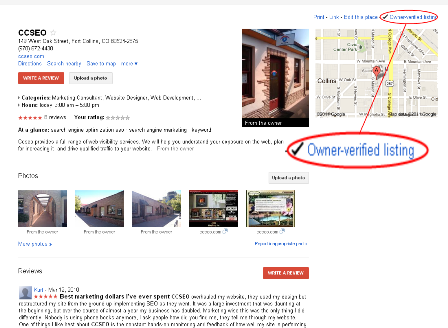 Often, business owners hire professional local SEO companies to claim, optimize, & maintain their business listings. If you?ve worked with more than one professional, or have had employees claiming your listings for you, trying to figure out which directory listing is already claimed can become confusing. Find your Google Places Listing by searching Google Maps and click on your name. Look in the top right corner of your Places Page. It should say ?Owner-verified listing? if it has been claimed. Search Bing for your business name. How detailed and filled in your business listing appears may indicate that it has been optimized, and therefore, already claimed. Near the bottom, look for this wording: ?Change your business listing? and click on this link. If it has been claimed, the phrase ?This listing has already been claimed? will show up next to your business name. 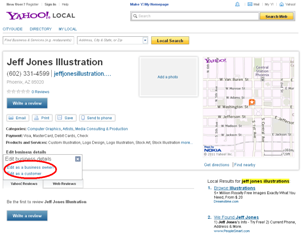 Go to Yahoo Local and search for your business name. Look at your listing to see if it is correctly filled out. If it has not been claimed, it is unlikely that it will have photos and detailed information about your business. Click on the words “Edit Business Details” at the bottom of the listing. You will be prompted to log in to your Yahoo account. You may attempt login recovery if you don’t remember your password. If you are able to log in & your listing has been claimed, your business information will be available for you to edit. If you are given the option to claim your business, then it has not been claimed already and you can do so now. Be careful not to create duplicate listings. 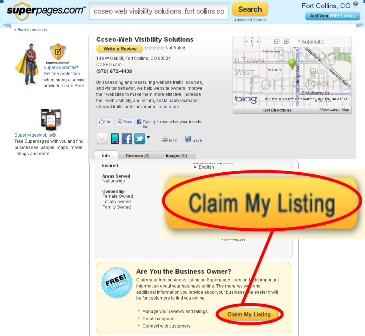 If duplicate listings already exist, you should claim and delete them. 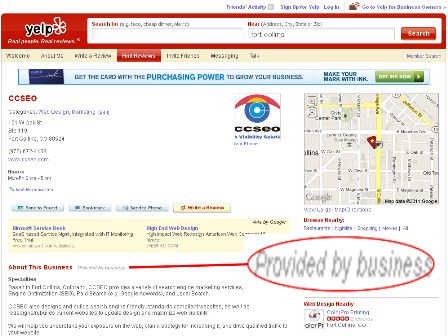 Search Yelp.com to see if your business name and information shows up. If it does, check to see if the words ?Provided by business? show up next to your business descriptions. Follow the process to claim your listing or log in to see if it appears in your dashboard. 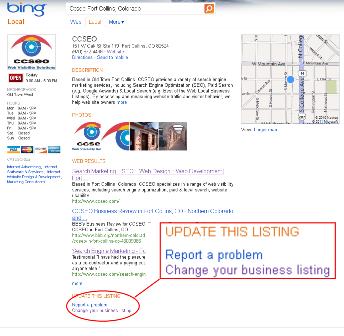 Getlisted.org is an easy way to double check the status of your business listings. A quick scan will provide you with a free status alert, but be sure your information has been entered correctly. Yext.com doesn?t let you know if your business listings have been claimed, but it will let you know if they’re listed and how well optimized they are.